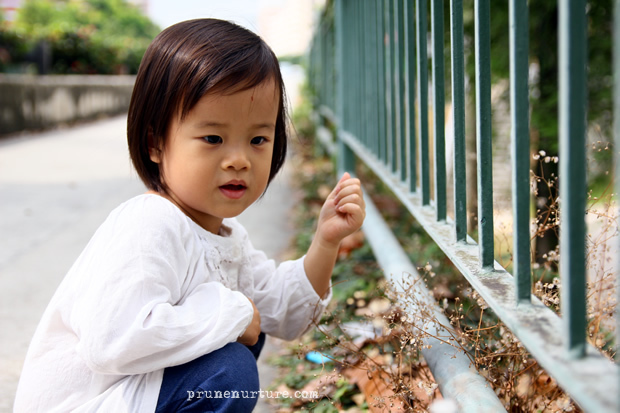 Dot likes to pick wild flowers when she goes outdoor. 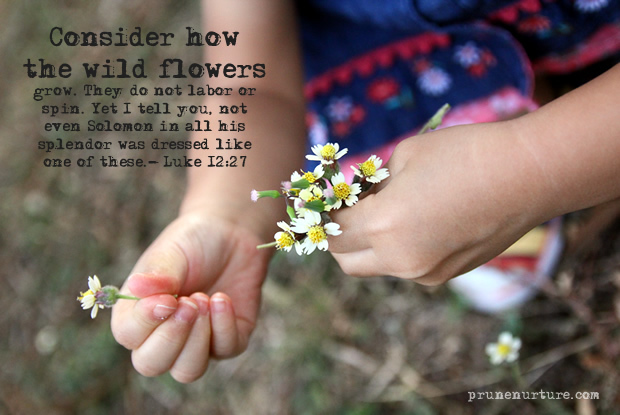 She cannot resist these little flowers when she sees them. She picks them and gives them away, probably her way of showing affection. Sometimes, it becomes a little adornment on her hair. Dot loves to spend some time “monkeying around” at the exercise corner every Sunday. A spot where she usually spends with her friends before we head for lunch at a coffee shop nearby. 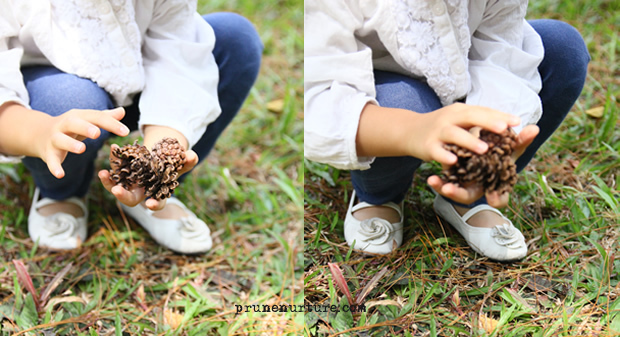 Today, we found these lovely pine cones near the exercise corner. We are there every week, but only discover their existence today. What a delightful find! I used to think nothing much about wild flowers and pine cones. Dot teaches me to slow down and to re-discover the wonder and beauty of nature. This is the final post of our 5-series posts on “Children’s Fashion“. Dot’s outfits are sponsored by Pumpkin Patch Singapore.